You scream, I scream, we all scream for ice cream! During the warm, summer months there are countless holidays dedicated to frozen desserts — some of our faves include #nationalicecreamday, #nationalcherrypopsicleday and #nationalicecreamsandwichday. If you're an ice cream and nail art aficionado, why not celebrate by wearing the sweet treats right at your fingertips. Here are some of the most adorable ice cream nail art designs — from the simplest, sweet accents to the most fantastical talons. 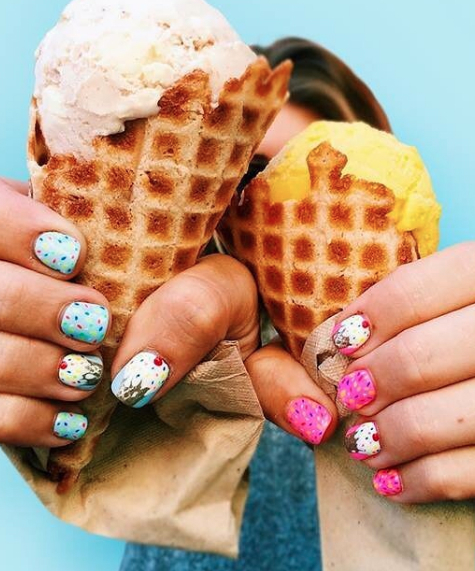 Peep these ice cream nails and get inspired for your next summer mani.